Properly citing sources is an essential skill for academic researchers. With the variety of media available today, it can be a confusing task, but it doesn't have to be. We are here to make sure you get the right information you need and the right tools to cite your sources. Like any skill, good citation takes practice. Start your practice here. According to the Oxford Dictionaries Online, plagiarism is "the practice of taking someone else’s work or ideas and passing them off as one’s own. "* While plagiarism has long been an act of academic dishonesty, the advent of the Internet and seemingly unlimited access to electronic information resources has brought renewed interest in the concept of plagiarism. It is important that we understand that it is wrong to copy other people's work and to present it as one's own work. It is equally wrong to use ideas and facts from other sources, and not to properly cite those sources. This is still plagiarism, even though no exact copying occurred. While one form of plagiarism is more intentional, the second form is still an act of academic dishonesty and must be avoided. Students who plagiarize often do so because they are pressed for time, or they have not been organized with their research. Taking good notes and documenting the sources of valuable information and quotes is a good way to avoid plagiarism. In addition, working from outlines and solid rough drafts also ensures that a student is blending her/his voice with that of others. *"Plagiarism." Oxford Dictionaries Online. 12 Dec. 2012. web. http://www.oxforddictionaries.com. Please see below for Severn School's Plagiarism Policy. Academic plagiarism, which is a form of cheating, is the deliberate act of taking or using all or part of another individual's work - either the paraphrasing or ideas -- and presenting it for academic credit or personal gain as if it were one's original work, regardless of whether the original's permission has been given." 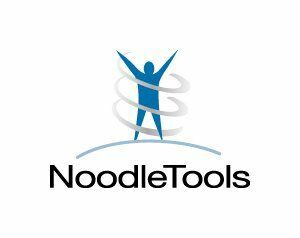 Create a NoodleTools account to cite sources and avoid plagiarism. NoodleTools will ask you to choose a citation format for your project. Chicago Turabian is the style you’ll most likely use if your paper is for a history course. APA is the style you’ll most likely use if your paper is on a science topic. Check out the NoodleTools Help Desk for any other questions about citations or see a helpful librarian.